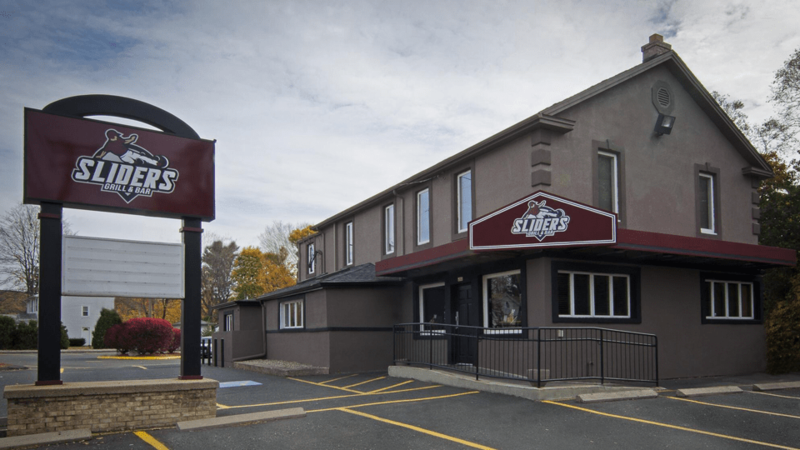 Sliders Grill & Bar was proudly established in 1993 by Fred Marcantonio with a mission to provide the community of Plainville, CT with its very own hometown sports bar. Two decades later and six locations to date, we have evolved to become a favorite CT destination for every sports fan. Our motto, “Fresh Wings, Live Sports & Family Fun” truly captures the essence of Sliders. We thrive on providing our customers with fresh food, exceptional service and superior technology for your viewing entertainment. Our hard work is paying off and receiving some serious attention! In addition to the 100 plus awards we’ve received for best wings and best sports dining experience, in 2011 ESPN Magazine voted Sliders the #5 Best Sports Bar in the country! Our award winning wings have also earned national recognition. In 2013, 2014 and 2015 Sliders entered the National Buffalo Wing Competition in Buffalo, NY and won titles for best wings 3 years in a row! These achievements are important because we want our customers to know we are always hard at work creating delicious food and developing new and unique experiences for you to enjoy. We welcome your next visit to Sliders and always look forward to the opportunity to show our customers that a casual dining experience can be an extraordinary one!